Get to the ground. Everton have a lot going on in the car park, lots of football related stalls and various Everton songs being played, all geared to get you excited for the match (Saints could learn from this). If Saints are to make the top 4, this was a must win game. Slightly surprised at the line up, but in Ron we trust. Saints kick off and started the brighter of the 2 sides. After five minutes a cross from Shane Long finds Pelle, who chips Howard in the Everton goal, only for the keeper to pull off a world class save. After this Everton start to come into the game and after a series of corners Everton take the lead, when the ball fell into the box to an unchallenged Jagielka, who puts the ball into the corner of Saints goal. Saints responded well to the goal and immediately get the upper hand in the game. Saints gain a free kick on the edge of the box, after Pelle was pulled down. Ward-Prowse takes the free kick and is only inches wide. Shortly after, Howard makes another great save from a swerving shot from Ward-Prowse. The rest of the half was fairly even, with half chances for both sides. The second half starts and Saints struggle to get going. On the hour Saints made a double substitution, Tadic and Mane came on for Ward-Prowse and a very ineffective Elia. I was surprised Elia started the second half to be honest. 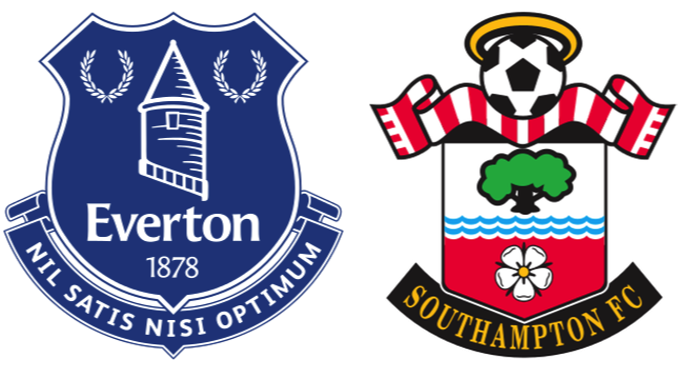 The changes certainly lifted Saints, but too many times the build up play was so slow, that Everton easily managed to get plenty of players back behind the ball and the game petered out, with no real goal attempts for either side. For me, Wanyama was Saints Man of the Match, whilst Jagielka was their best player. Once again lack of penetration in the final third has cost us a win that our possession deserved. Saints Champions league dream is now probably over, but I can't help thinking, if only in January we'd bought a goal scorer. Jermain Defoe was available, I know his wages were high, but could have given us the goals which would of meant games like today's would have ended with us getting all 3 points. A great weekend, shame about the result.